We believe that responsible travel has the power to affect positive social change. “A developing nation.” To me, this appeared most often to be a euphemism for impoverished nations that relied on a steady stream of international aid. Media reports on Africa, Latin America, the Middle East, and South and Central Asia rarely aired without footage of natural disasters, civil conflict and sickly people. While those negative aspects are more prevalent in our world than need be, they are not the rightful face of the modern developing nation. 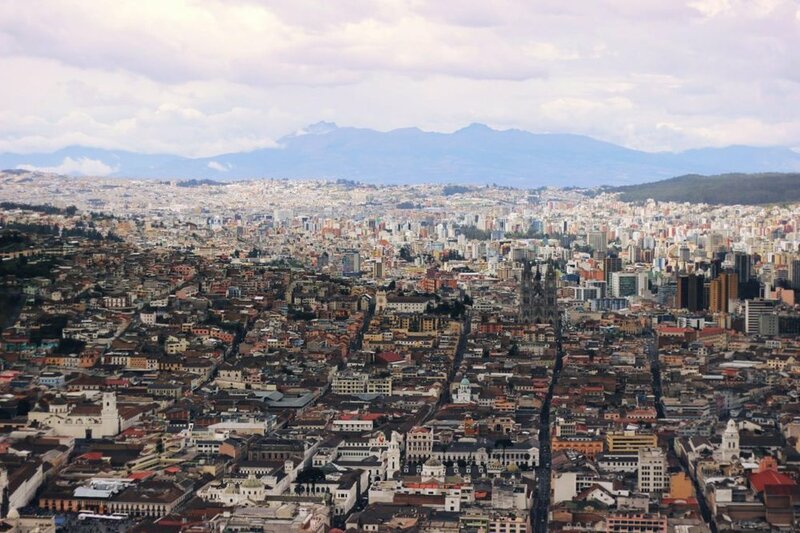 During my first visit to a developing country I was greeted with quite the opposite: the streets of Ecuador are bustling with citizens eager to improve their life and move their country forward. Let us see the masses of social entrepreneurs, microfinance officers, and determined families that are allowing these nations to advance! Now what role do I have in another nation’s economic, social, or political future? Surrounded by international relations majors, sleeping in a dorm adjacent to the oldest school of diplomacy in the U.S., I’ve grappled with this question since arriving on campus. I have no predominant national identity, and the last member of my family born outside of the U.S. did so in the 19th century. I felt I would be fulfilling the white savior role if I went off to some other nation to give my two cents. That internal conflict dissipated soon after meeting the first microfinance client, and by the last had become entirely irrelevant. It became apparent to me that though we had contrasting identities, we shared a commitment to humanity that made our connections worthwhile. I was thoroughly inspired after speaking with Ernes, a rural Anguanan woodworker whose business held a social mission from the start. Among other products, he produces wooden spoons that offer a healthier alternative to metal spoons that allow chemical residue to buildup; making the switch is prescribed to those with weaker immune systems. After learning about his business he opened up about his personal story, and the tremendous effort it took to help him get to where he is today. Orphaned at 8 and unable to complete primary school, he had nothing but the support of friends and extended family. He first secured a loan from a local microfinance institution (El Primero de Julio) in order to purchase land, and since then has worked closely with the staff to develop his business and ultimately provide for his family. We rarely expect to see such determination from people formerly in dire straits, but this was a poignant reminder that a lack of parental support or education is quite common in the developing world. As privileged students observing this narrative, how do we fit in? Ultimately, as resource providers. We have access to far more information, capital, and education than many. If we are able to transmit skills and provide necessary resources to those with the desire to advance, we can offer more than charity: we can foster empowerment and self-sufficiency. Originally posted on BUILD Latin America. Human Connections © Copyright 2018. All Rights Reserved.